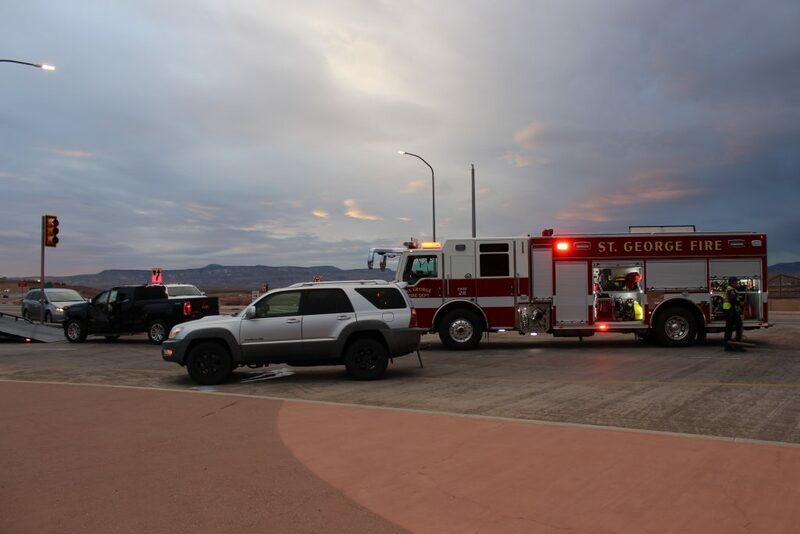 ST. GEORGE — A three-vehicle crash occurred at the Southern Parkway overpass when a truck turned left on a red light and was hit by oncoming traffic, according to police. 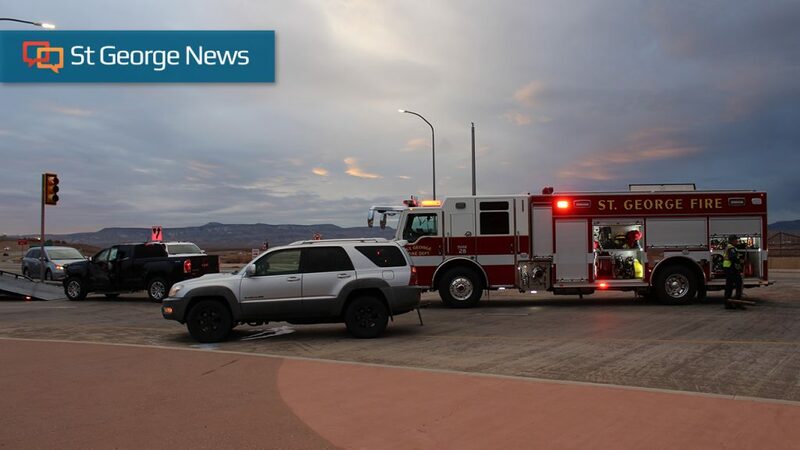 The crash took place at the intersection of the Southern Parkway overpass over Interstate 15 around 7:30 a.m. when a black GMC Canyon, traveling east on the parkway, attempted to turn left onto the I-15 north on-ramp as the light turned red, Utah Highway Patrol Sgt. Jake Hicks said. 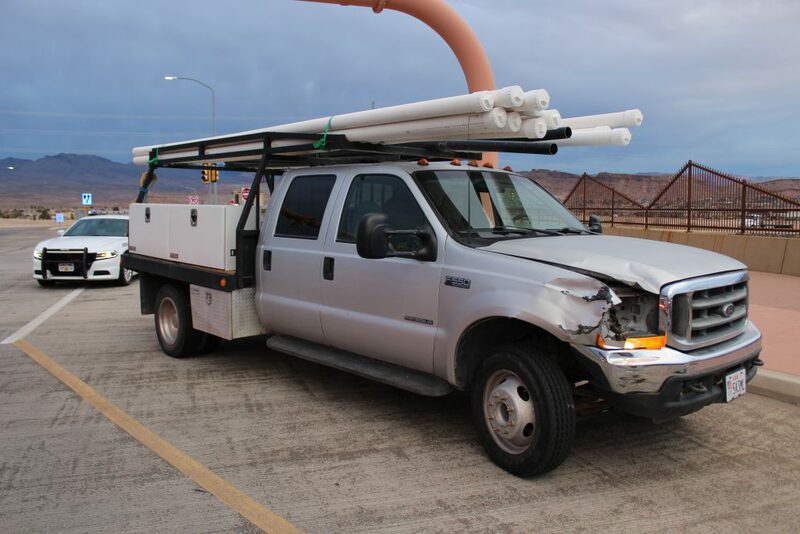 When the driver of the truck turned, a silver Ford F550 and a silver Toyota 4Runner had already entered the intersection after their light turned green. 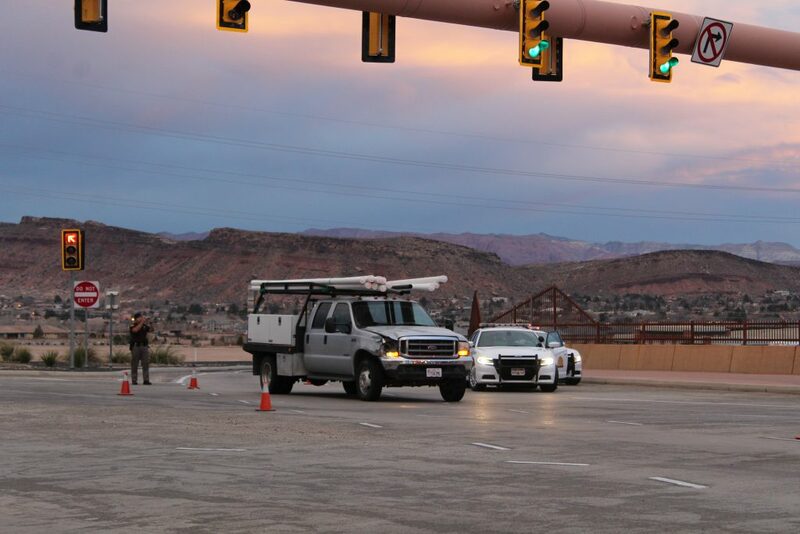 The two vehicles were turning left from south I-15 to travel east on the Southern Parkway. “He made the left and there were already two cars in the intersection,” Hicks said. 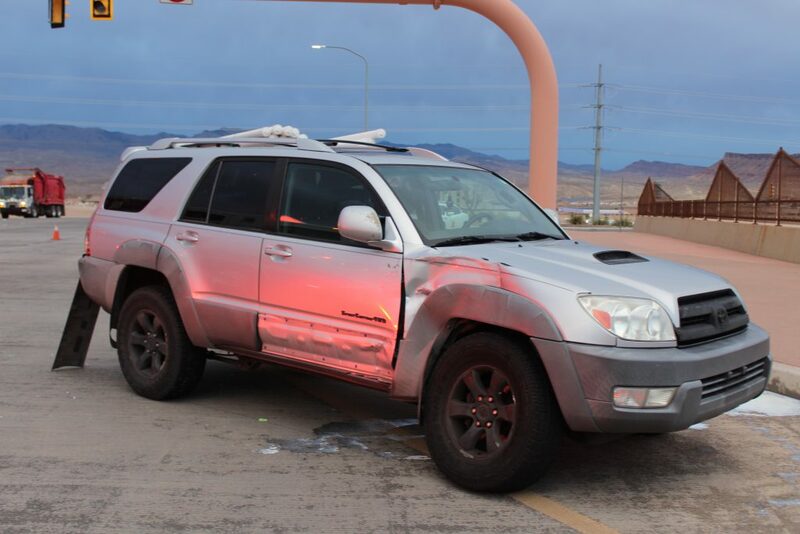 The GMC then crashed into the F550, forcing it into the 4Runner. 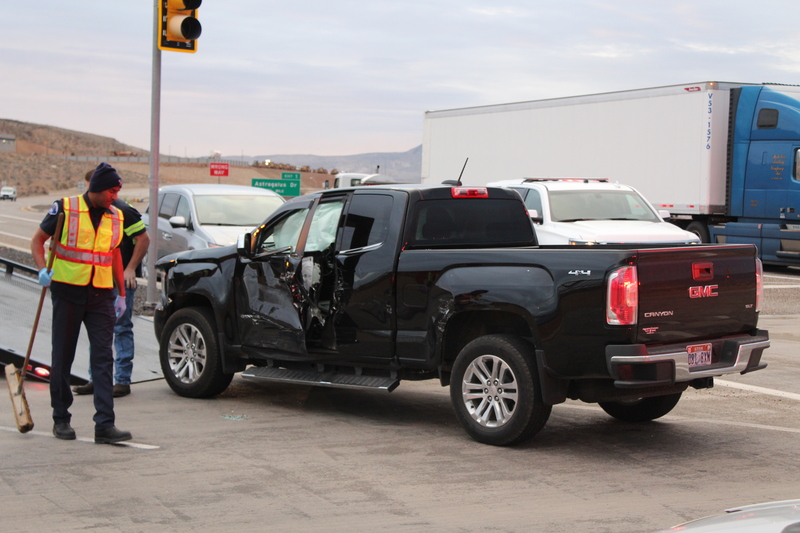 No injuries were reported, but the impact left the driver of the GMC trapped in his truck until authorities could cut the door open. All three drivers were adult males and were wearing seat belts. The driver of the GMC will be cited for either failure to yield or for a red light violation, police said. Men and their big trucks. No females to blame this time! Yes, even truckers are guilty of the famous “Utah Left” Also, I agree with utahdiablo, “too late thru a light” ??? Yeah, we used to call that “Running a red light”. Geeze! 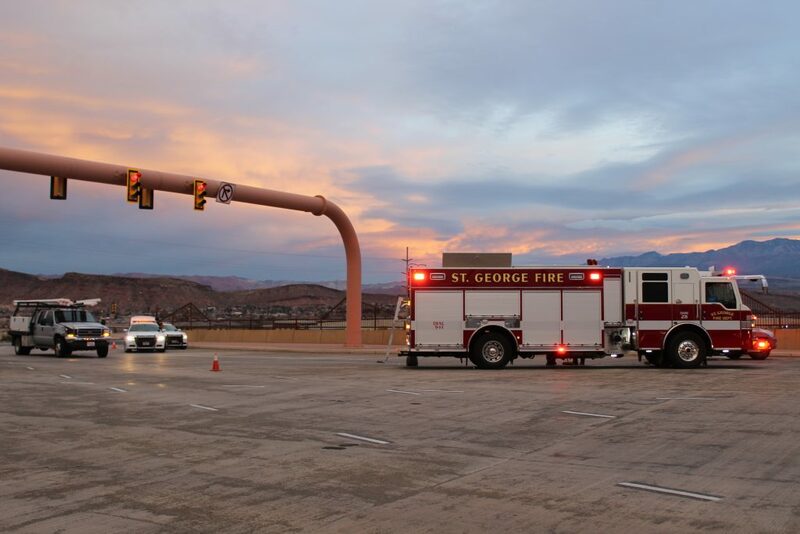 “Too late through a light”….in other words, another day in STG.